Today, data capture and imaging are the cornerstones of efficient lockbox processing. DMP has implemented the most advanced technology available today. Our remittance data capture capabilities can be customized to meet the needs of any government agency or entity. On a daily basis, DMP processes the majority of lockbox payments via our high-speed scanning, data capture, and imaging systems. Beyond scanning, our advanced system is also directly integrated with DMP’s web-based image retrieval. This provides our government clients with critical payment information as soon as the check is deposited. Every scanned image is uploaded to our secure image application database on a daily basis. Images are available for viewing anytime through a secure login on the DMP website. DMPimage+, our secure cloud-based image database, meets all Internal Revenue Service requirements for Electronic Storage of Books and Records. 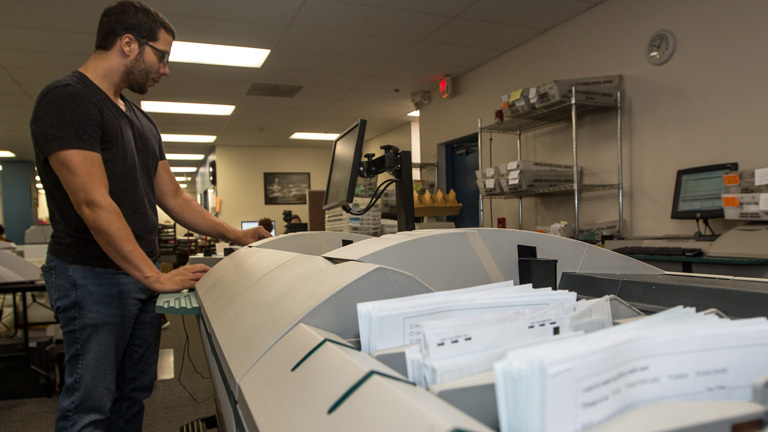 To complement DMP’s scanning and imaging system, we also provide manual data entry that facilitates high-speed electronic file transfer and processing. In addition, if necessary our team can key directly into the appropriate database system.